Could be unveiled in early-2018. 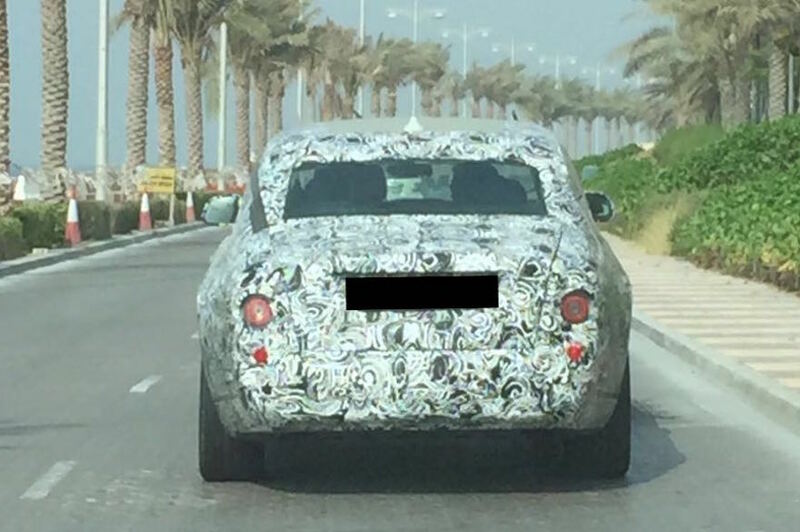 Auto Plus reader, Frederic, has spied an early test mule of the next generation Rolls Royce Phantom testing in Dubai, one of the manufacturer's most important markets. It is expected to break cover in early 2018, and innovations introduced in the Phantom VIII will filter down to other models. It appears that the next gen Phantom will retain the iconic angular styling of the current model. Not much can be inferred from the exterior of the test mule. 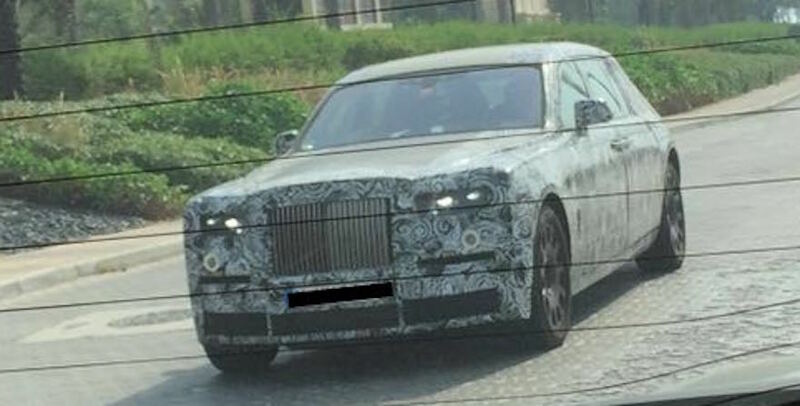 From a teaser of its body shell, it appears that the next gen Phantom will retain the iconic angular styling of the current model, but could feature contemporary elements for certain distinction. It's unlikely that the new Phantom will grow in size, given that the current Phantom is already one of the biggest cars in the market. One of the most significant developments of the next gen Phantom is its all-new aluminium architecture, which will underpin all next generation models from Rolls Royce. With the aluminum construction, expect a good weight loss over the current model. One of the biggest developments of the next gen Phantom is its all-new aluminium architecture. Technical details on its engine lineup are scarce. It is likely to retain a V12 engine, although it's unclear if Rolls Royce will introduce turbocharging or electrification in order to meet stringent emission norms in the future.